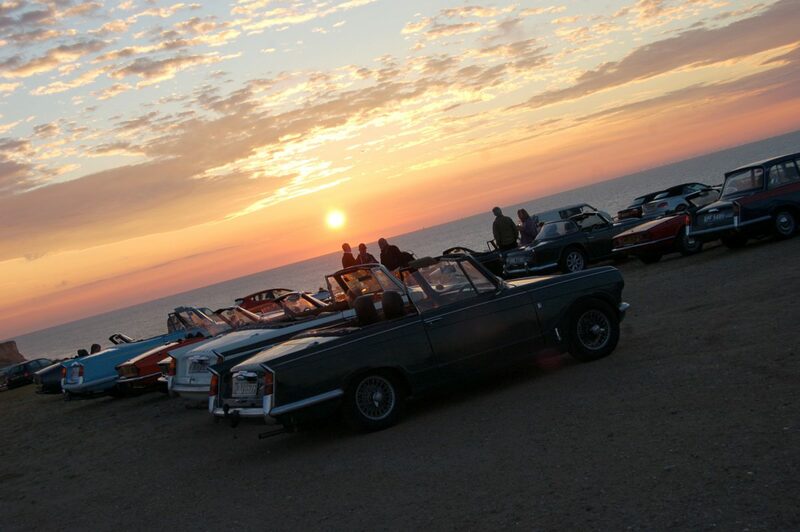 The Annual Norfolk TSSC Fish and Chip Run to Cromer. Once again, we arranged to catch up with the convoy in Dereham and were pleased to see 5 cars arrive soon after us. The recent hot spell seems to have encouraged more classic car owners out onto the roads and after a pleasant drive down to the cliffs it was great to see a total of 18 cars on show. The sun remained warm as we ate our fish and chips down by the seafront but by the time we left, around 9.30, the warmth had gone, leaving Christina wishing she had brought a warmer jacket for the journey home. A really enjoyable evening and good to catch up with people we hadn’t seen for a while.